Depending on how much time you have, you can bird here for several hours or several days. 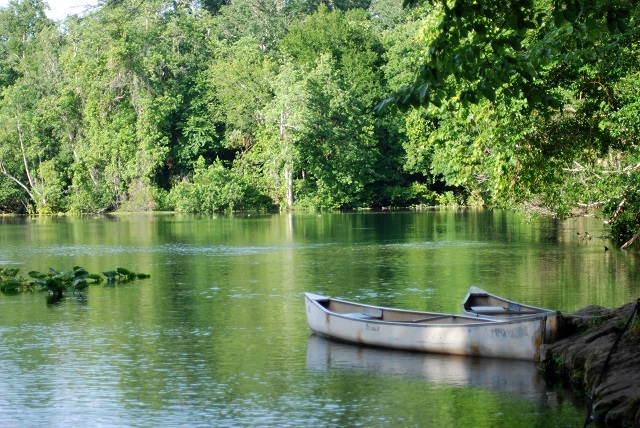 The park encompasses nearly 18,000 acres, and the St. Johns River, Wekiva River and Blackwater Creek. From the south entrance, you can hike the self-guided Sandhill Nature Trail and a portion of the Florida National Scenic Trail. On these trails through sandhills and flatwoods look for Summer Tanagers, Bachman’s Sparrows, Yellow-throated Warblers, Eastern Bluebirds and Brown-headed Nuthatches. You may also encounter Sherman’s Fox Squirrels and Gopher Tortoises. Bald Eagles have nested here; odds of seeing one are good from October to May. Butterfly surveys have recorded several cloudywing species in the sandhills plus Southern Pearlyeye, Ceraunus Blue, Barred Yellow, Checkered White and Pipevine Swallowtail. The Fechtel Tract, accessed from the northern entrance off SR 44, is a wilderness area with primitive camping and 18 miles of multi-use trails. Anything from Northern Bobwhites to Black-and-white Warblers is possible here. Katie’s Landing on the Wekiva River has parking, restrooms and picnic tables. Canoe and kayak accessibility now enables visitors to enjoy a five-hour trip on the Wekiva River, departing Wekiwa Springs State Park and finishing at Katie’s Landing.